Some of our Oswinners are working with Northumberland Football Association to gain skills in ground maintenance. ‘Pitch Perfect’ is a social enterprise initiative to support football pitch maintenance across the County, with the help of associates and a pilot group of partner clubs. Supported by funding from the Football Foundation and with further assistance from Northumberland County Council’s Social Enterprise team, the programme will see the grassroots club and league sites working in partnership with local authorities to help improve pitches and training facilities throughout the Region. 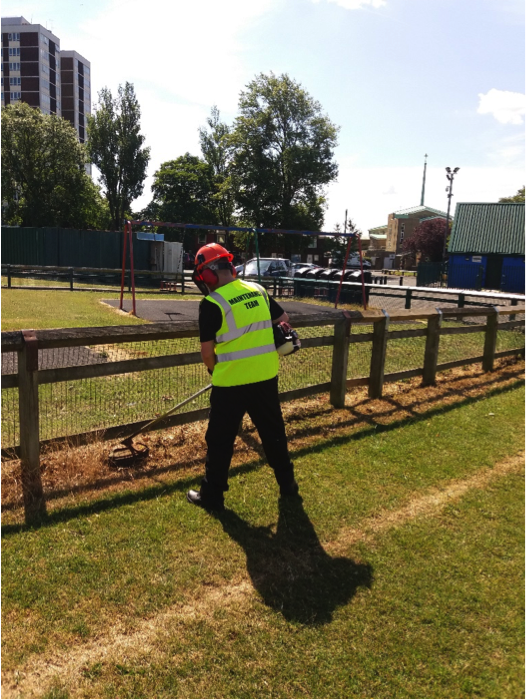 We are delighted to currently have an Oswinner working at Newcastle East End FC, gaining excellent experience and learning all about ground maintenance.